Fun, fun and more fun. 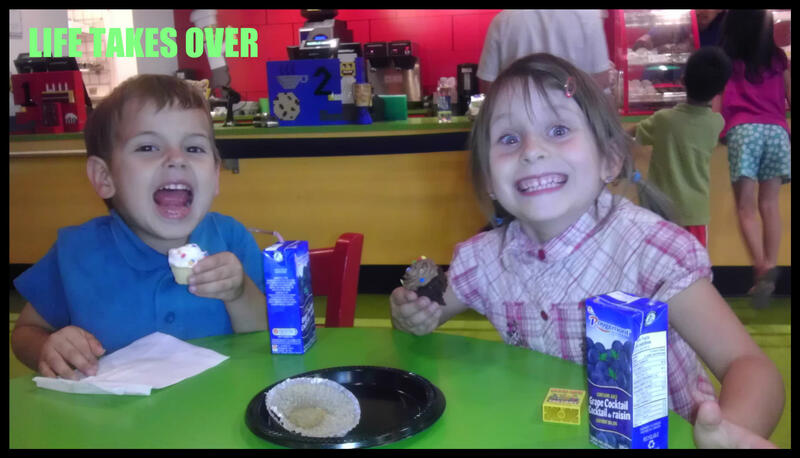 That about sums up our day spent at LEGOLAND Discovery Centre just north of Toronto. I wasn’t sure my daughter would be impressed because she hasn’t been exposed to much in the way of LEGO in her life. But I had forgotten her penchant for building (she has a wooden block set handed down to her from a cousin that she drags out regularly, even if I put it away where she can’t find it). So she was indeed impressed! She spent so much time at this ramp, running LEGO wheels and LEGO cars down it for me to catch or to see if the cars she built would crash and fall apart or if they would stay together. After what seemed like hours, she ran down the steps and exclaimed, “Mommy, Mommy! Can you buy me boy LEGO? It’s so cool! It has wheels!” So now we are putting “boy” LEGO on her wish list for birthdays and Christmas. My son was more interested in watching older boys create elaborate cars out of the LEGO. Maybe he just doesn’t have the dexterity to create LEGO cars himself yet. 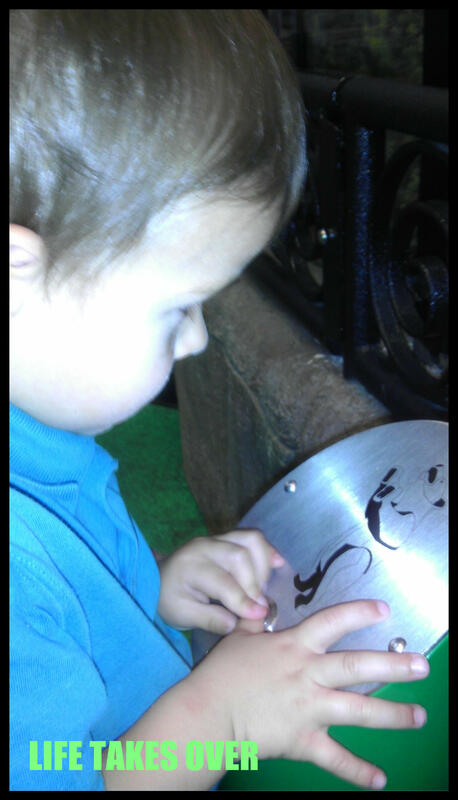 He loves to push buttons, and once he discovered that he was activating the growling bear hiding behind the rocks in the campground, we couldn’t drag him away from this display. 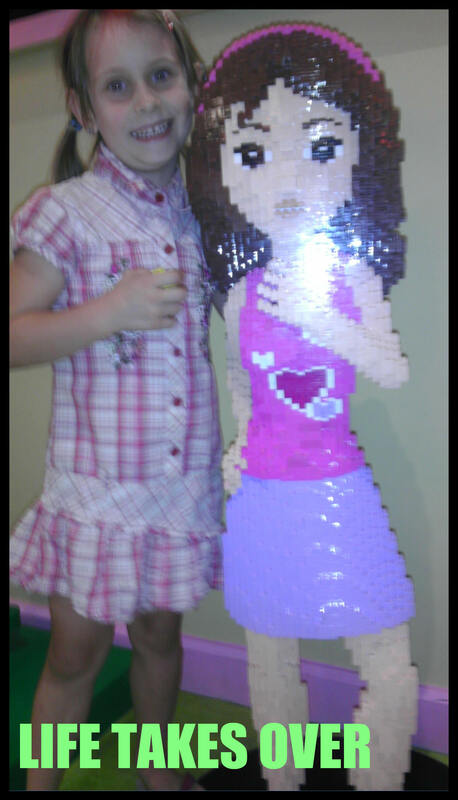 Then there was the life-sized LEGO girl. My daughter couldn’t get over that they could make LEGO into people! 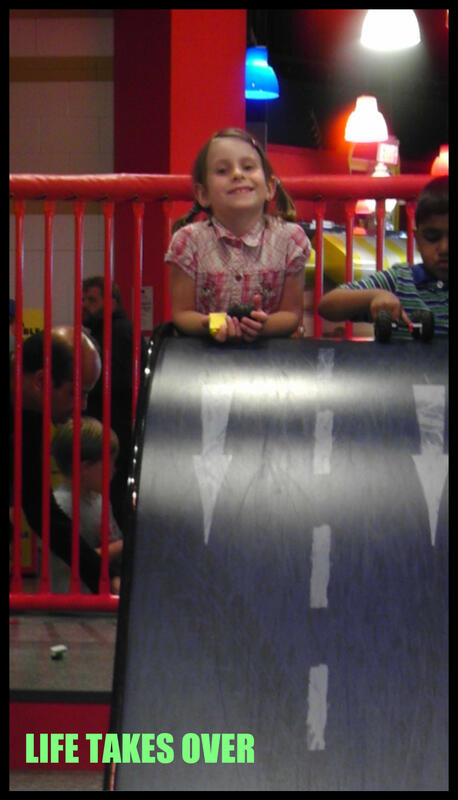 She was so excited. Then we headed over to the Merlin’s Apprentice ride where my husband and my daughter rode together and competed against me and my son to see who could stay the highest throughout the ride. The harder you pedal, the higher you go. Stop pedaling and you sink! After all that excitement, we headed over to the LEGO 4D Cinema for the new LEGO LEGENDS OF CHIMA 4D movie. 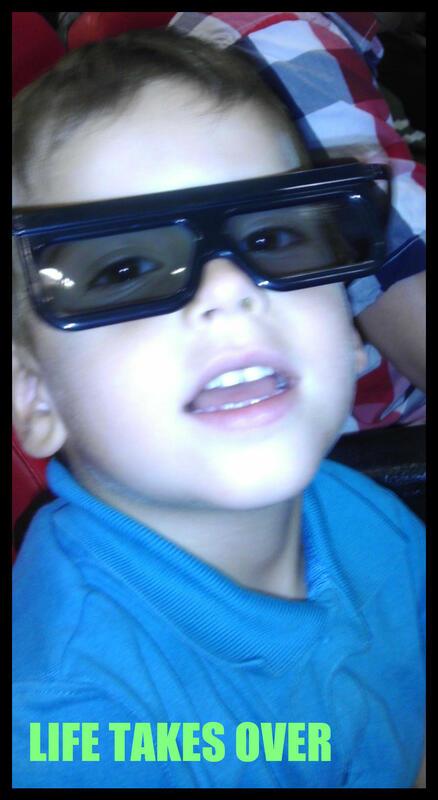 I’m not sure how much 3D fun my kids got out of this since they only wore their 3D glasses before the movie started. But they definitely enjoyed the rain and the wind in the theatre during the movie! Truly a fun 4D experience. Then it was time for a break. We dropped the kids off at the LEGO Fire Academy (an enclosed climbing and adventure structure) and we headed over to the Café for a coffee and a muffin. 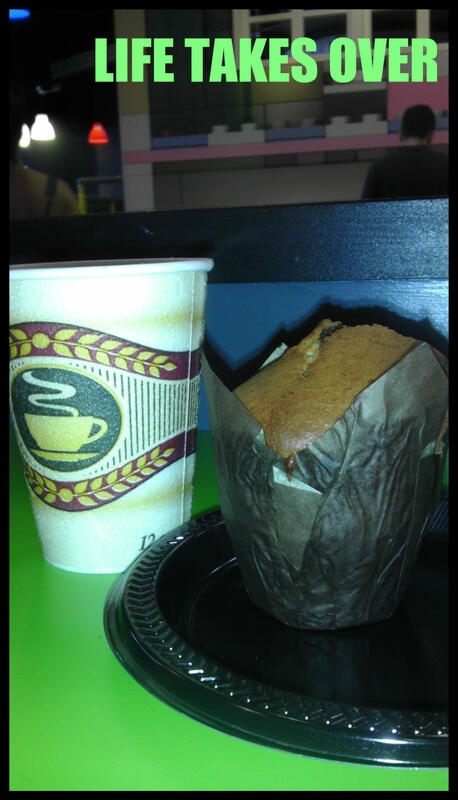 The muffin was absolutely delicious. We shared one, but I secretly wished I’d had my own. Reasonably priced, too. When the kids had had enough of the Fire Academy, we popped back over to the Café for a snack for them (also reasonably priced). I really appreciated the selection of items. There was enough to choose from without being overwhelming, and the choices for lunch options were healthy (no greasy fries here). Of course, it was getting close to dinner time and we didn’t want to spoil their appetites with a meal, so we bought them each a mini cupcake and a juice box; just enough of a treat to get them through to dinner time. They were clearly very happy about it. And so ended our day at LEGOLAND Discovery Centre. We were there for about four hours and our kids never stopped. They both loved it and are already asking when we can go back. Success! 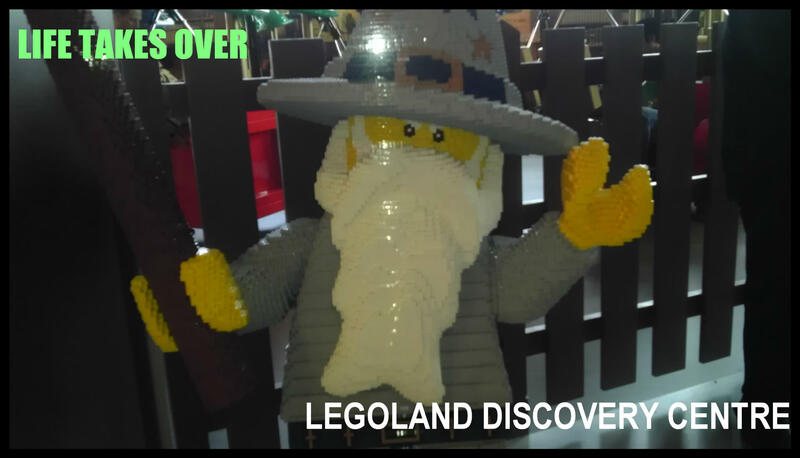 Disclosure: I was provided with admission to LEGOLAND Discovery Centre for review purposes. No other compensation was received. The opinions stated above are my own, honest opinions based on my family’s experience. 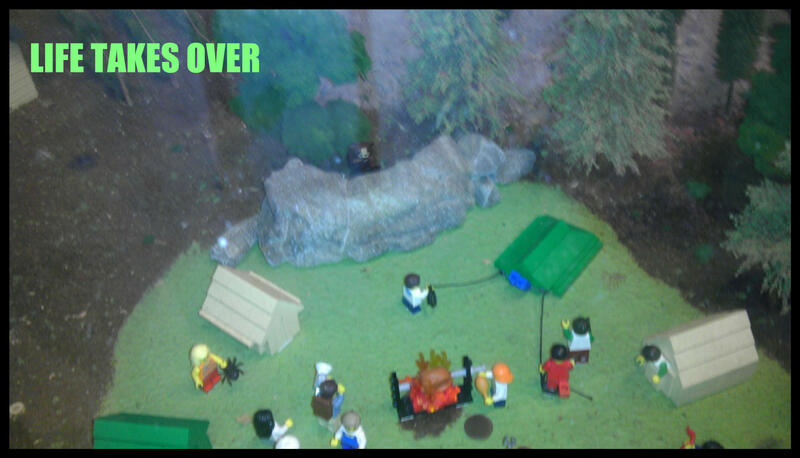 This entry was posted in Uncategorized and tagged discovery centre, events, Family, family time, kids, Kids, kingdom quest, LEGO, lego cars, legoland, Reviews & plugs, theme parks, toronto, tourist destination, travel, Travel on July 25, 2013 by Nancy. We went to the LEGOLAND in NY. We also spent a lot of time at the ramp. It was a fun time. It was really awesome. I loved it!